Haemophilia Wales is a website developed for a Welsh charity that provides information, support and advocacy to everyone with Haemophilia, Von Willebrands and other bleeding disorders, including their families and carers. Lynne Kelly, the Chairperson of Haemophilia Wales, contacted me in 2015 asking for an information driven website that could help support the charity. 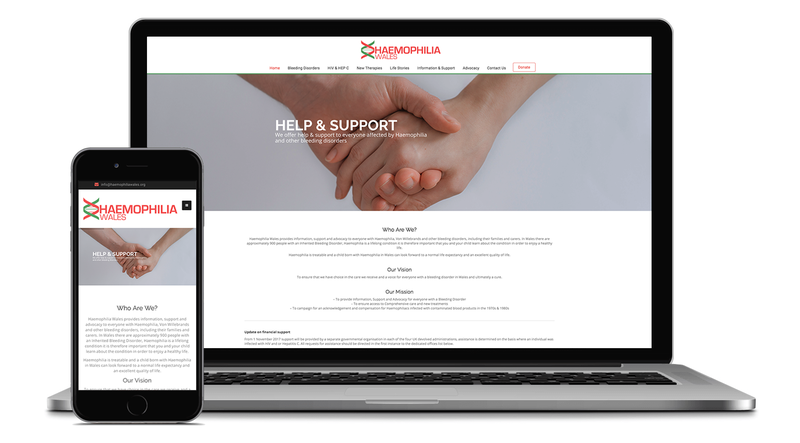 She required the website to contain detailed information regarding Haemophophilia and other related bleeding disorders, contact details for Haemophila Centres in Wales and a diary of upcoming events.